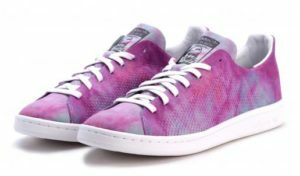 Along with a trio of NMD Trail colorways, Adidas and Pharrell Williams will drop a Tennis Hu and Stan Smith to celebrate the Spring “Holi” Festival. The Powder Dye colorways feature a multicolor look in bright spring colors. 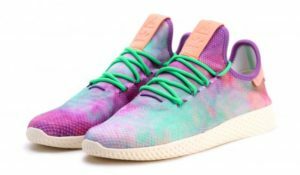 You can pick up the PW x Adidas Hu Holi collection starting at 7 PM ET on Thursday March 15th.